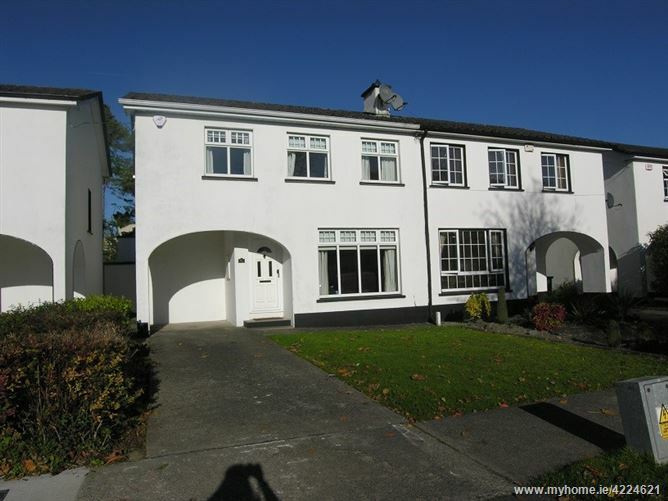 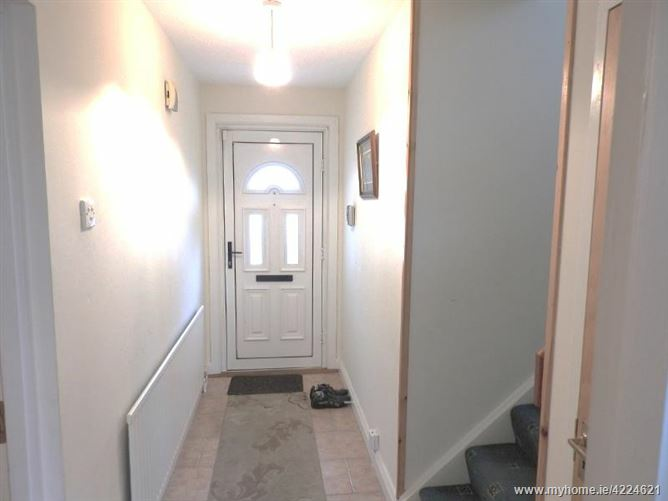 Two-storey semi-detached property in this popular area, c.95sqm., located to the front of the development, just a few doors down from the shop! 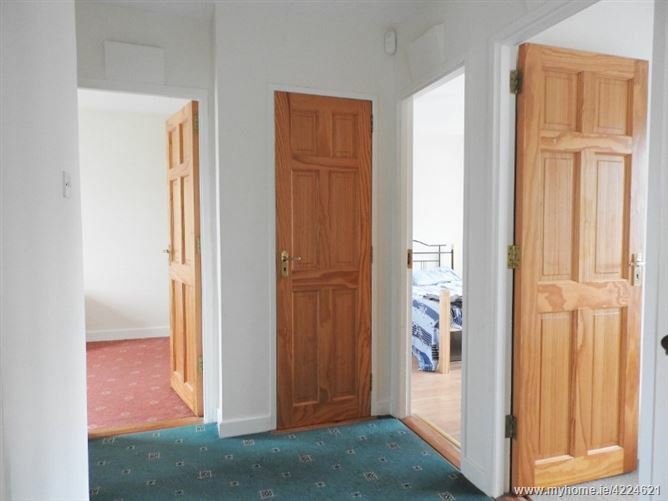 Accommodation includes entrance hallway, kitchen-dining and sittingroom on the ground floor with 4 bedrooms and bathroom on the first floor. 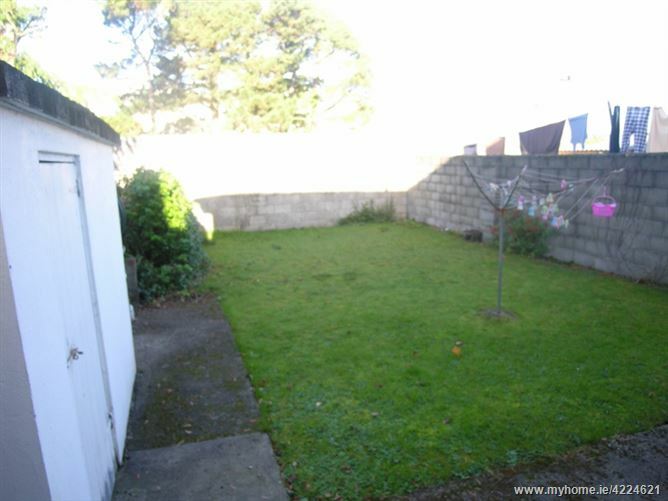 Driveway and lawn to the front with car port and walled in garden to rear not overlooked. 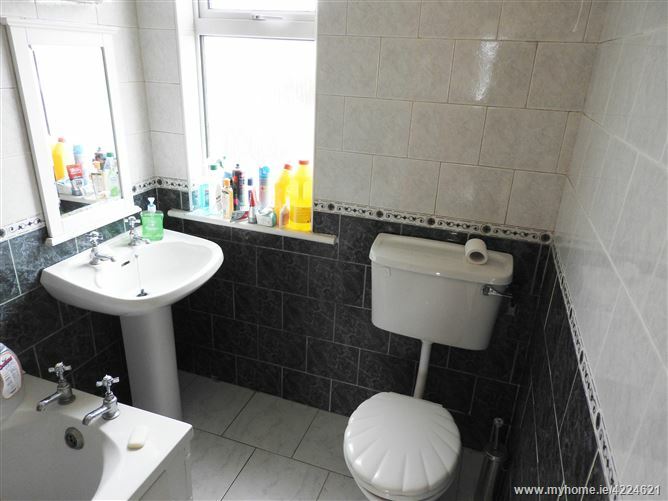 Tiled floor, carpet stairwell to first floor, storage underneath stairs. 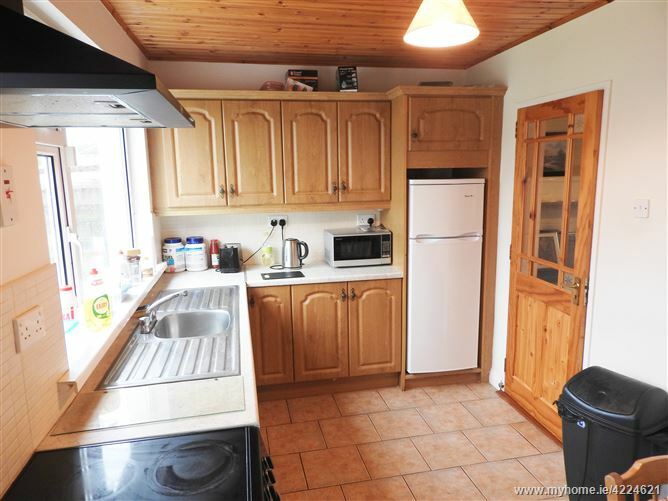 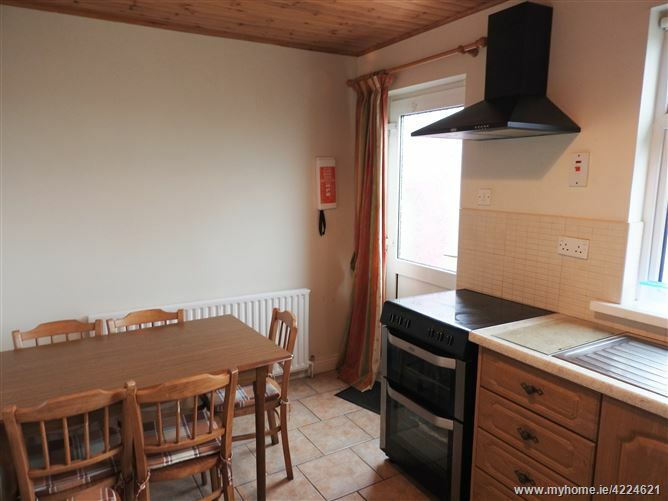 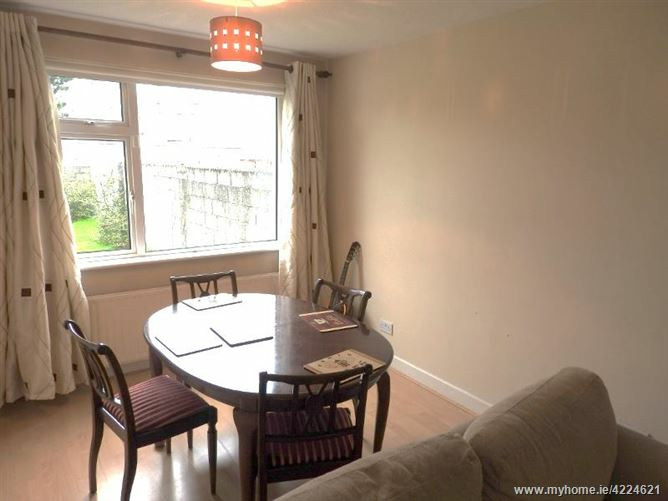 Tiled flooring, units at floor and eye level, tiled between units, Includes Belling electric cooker with extractor fan overhead, Hotpoint dishwasher, Powerpoint fridge freezer, timber panelled ceiling, door leads to rear walled in garden. 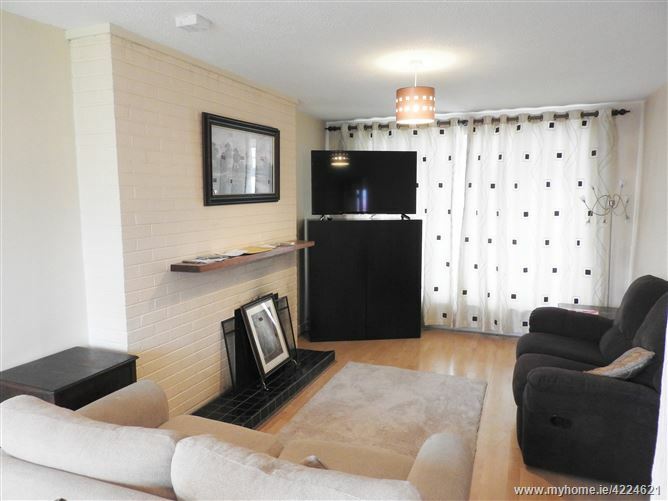 Laminate timber flooring; brick fireplace – open plan living – dining area. 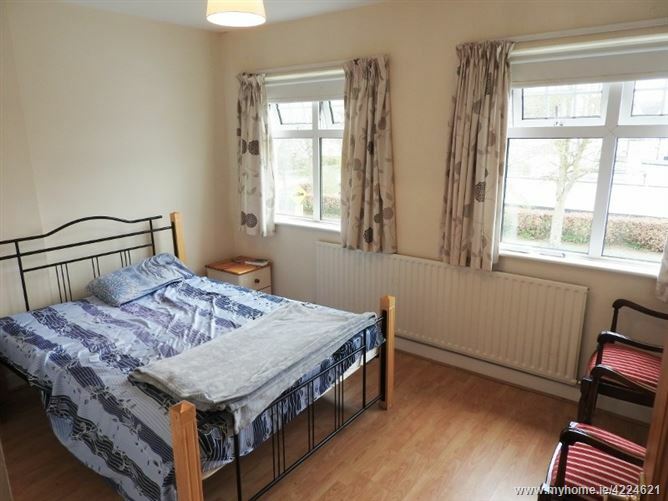 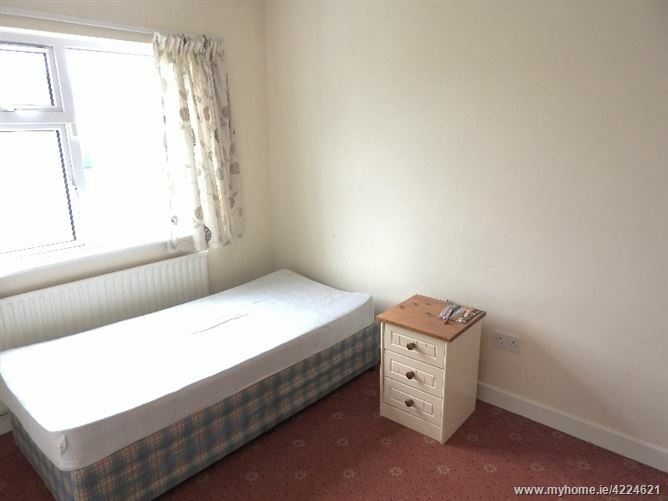 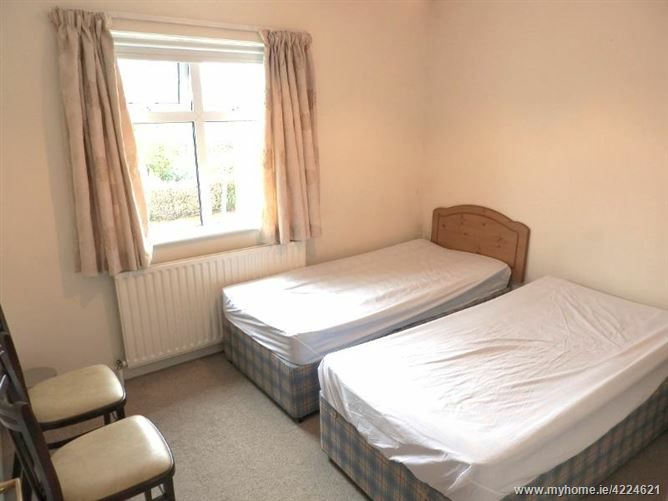 Laminate flooring, built-in wardrobes – main bedroom.